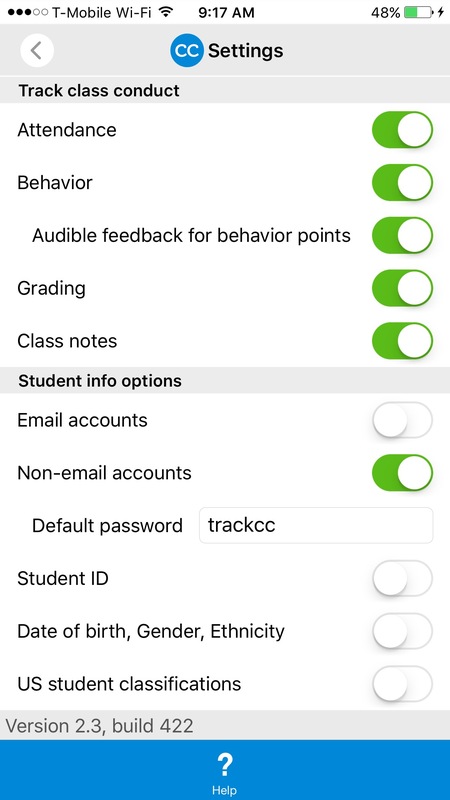 If your students don’t yet have email addresses, you can create non-email TrackCC accounts for your students as follows. This feature requires the Teacher PRO subscription. 3. 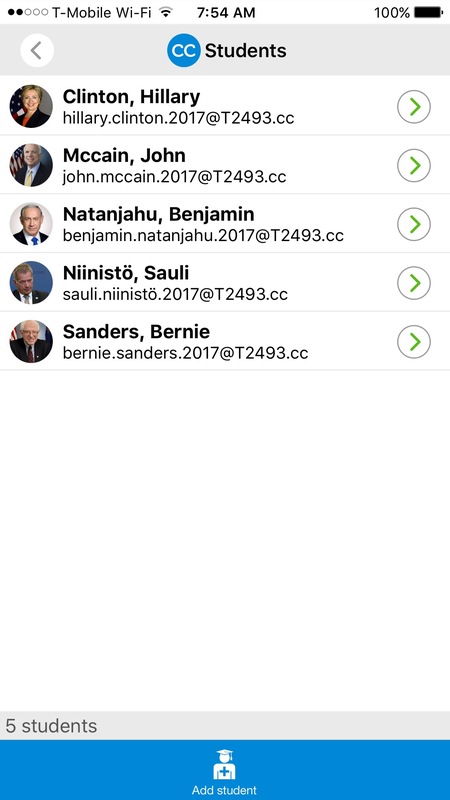 In the "Student info options", set "Non-email accounts = On"
- T stands for "Teacher"
- Simply set "Non-email accounts = Off"